There are three unions in the battle. One is "more than disappointed"; another says straight out that government's offer is unacceptable; the third is currently studying a document that it had just received. That, in a nutshell, is the state of salary negotiations between the Government of Dominica and civil servants for the period 2012 to 2015. The first "union" represents Dominica's cops; it is called the Police Welfare Association (PWA) and Jefferson Drigo is its president. When the Sun asked Drigo about the status of the negotiations he said the PWA received an offer from Government of zero, zero, zero. Thomas Letang is the General Secretary of the Dominica Public Service Union (DPSU); he is the union boss who is extremely disappointed with Government's offer. For Letang it seems a clear case of "feet dragging." "We expected that by now we would have received Government's proposal. It was agreed when we met and they said it would have been forthcoming," Letang said. "Until now we have not received anything... no idea of what is holding up them up; they have all the information and statistics that is required. We are disappointed and unhappy. "We are wondering what is happening; so this will be top priority for us as a new executive. It is negotiations for the 2012/2015 period and we are in May of 2014. We are approaching the end of triennium soon and we will have negotiations for the next triennium. We are not happy and very disappointed in the feet dragging of the government." The third union is the Dominica Association of Teachers (DAT) headed by Celia Nicholas. She told the Sun that she has received documents that she was studying. In February 2013 the Government, DAT, PWA and the DPSU successfully concluded wage and salary negotiations for the 2009/2012 Triennium. In addition to other benefits, civil servants received increases in wages and salaries of 3% for 2009/2010, 1% for 2010/2011 and 1.5% for 2011/2012. 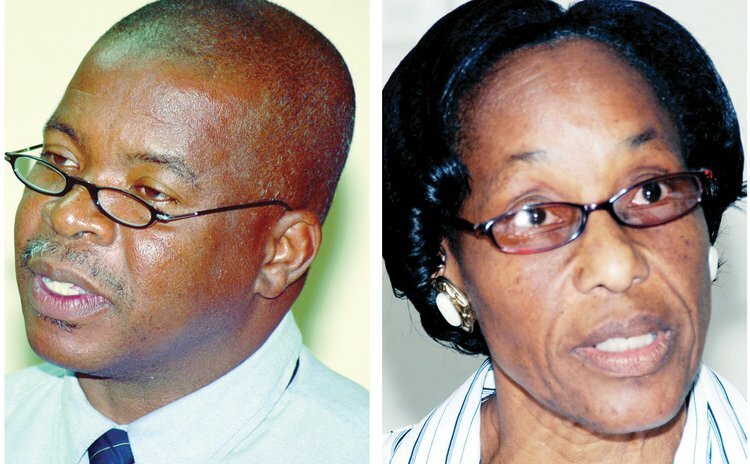 A release that the government issued at that time stated: "The Job Evaluation Review Exercise which commenced in February 2012 has been concluded and the Government is awaiting the final report of the consultants of the Caribbean Centre for Administration Development (CARICAD). "The first Job Evaluation and Classification activity was conducted in the Dominica Public Service in the early 1990's. Since then, a review has not been undertaken service-wide. Therefore, the findings and recommendations emanating from the exercise are important for effective and sustainable human resource planning and budgeting. It is anticipated that the report will form the basis for discussions with the unions for the 2012/2015 Triennium which has already commenced". But it appears Government has problems with its consultant's recommendations and hence "the feet dragging" that Letang described. "The job classification is another issue. We have come to the conclusion that Government will not implement the recommendations. It seems costly to them, much more than they have anticipated," Letang said. "We have asked for it in writing (because) we need to know what it is we are taking to our membership. We need something official and for whatever reason that is not forth coming. To say that we are disappointed is an understatement. We are more than disappointed."